This Biodegradable Bamboo Lanyard. Bootlace (tubular) style. 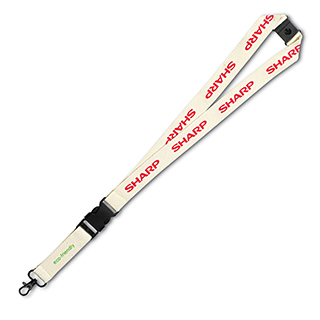 Made from sustainable bamboo fibre, these lanyards are eco friendly and bio-degradable. They have a smooth silky feel to the touch. Colour: White / Black / Silver / Navy Blue / Royal Blue / Light Blue / Green / Yellow / Gold / Orange / Light Red / Dark Red / Pink / Purple. PMS colour matching is also available, just let us know your colour! For PMS matching, the MOQ is 500.